A newly installed PV system at the Aquafax head office reduces operating costs and provides a stable and predictable energy supply. Aquafax is a leading international wholesaler and distributor of marine and industrial equipment. They specialise in distributing over 16,000 products, sourced from all over the world many of which are as sole distribution. As part of the Aquafax continued investment programme to deliver excellent customer service, they recently moved to a new head office with central warehousing in Luton. The ongoing investment in cost reduction and efficiency improvements included the installation of a new 75.26 kW solar PV system. 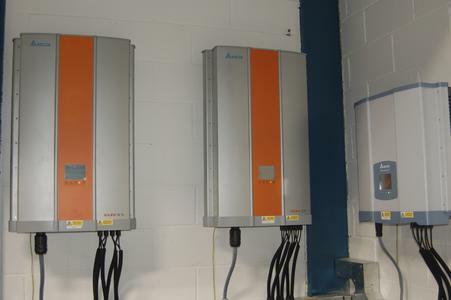 The system includes Delta inverters supplied by Delta UK partner Renewable Energy Storage & Solutions Ltd (RESS) and installed by Flixborough Technologies Ltd (Flixborough). Three Delta inverters with a total 75KVA output power were incorporated in the system. 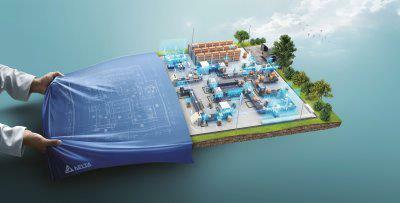 The Delta inverters were chosen for their high maximum efficiency up to 98.3% which allows for maximum energy harvest. 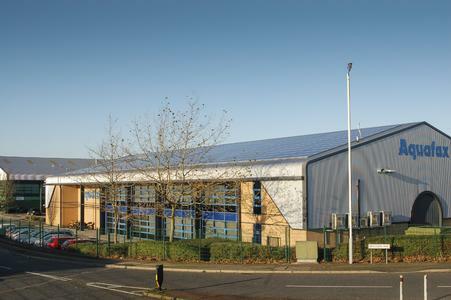 Aquafax head office is based centrally in Luton, with regional distribution hubs in Hamble, Middlewich (Cheshire), Wroxham (Norfolk), Plymouth and Marinac Scotland (Glasgow). Aquafax supplies all leisure marine sectors from mobile marine engineers right through to boat builders large and small and also have a division that specialises in the inland waterways as well as many other industries. By investing in a solar PV system, the company is able to help meet its business goals: cutting energy expenditures and strengthening its bottom line, and locking in stable energy prices for the future. Delta, founded in 1971, is a global leader in power and thermal management solutions and a major player in several product segments such as industrial automation, displays, and networking. 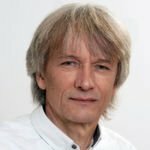 Its mission statement, “To provide innovative, clean and energy-efficient solutions for a better tomorrow,” focuses on addressing key environmental issues such as global climate change. 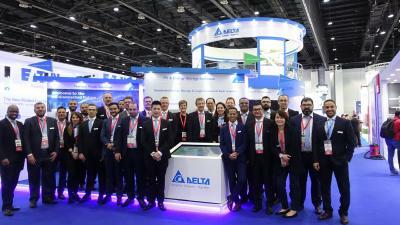 As an energy-saving solutions provider with core competencies in power electronics and innovative research and development, Delta's business domains include Power Electronics, Energy Management, and Smart Green Life. Delta has 114 sales offices, 56 R&D centers, and 30 manufacturing facilities worldwide. Throughout its history, Delta has received many global awards and recognition for its business achievements, innovative technologies, and dedication to corporate social responsibility. Since 2011, Delta has been selected as a member of Dow Jones Sustainability™ World Index (DJSI World) for five consecutive years. In 2014, Delta was ranked by the Carbon Disclosure Project (CDP) at the highest A-level of the Climate Performance Leadership Index (CPLI), and it was the only company from nearly 2,000 listed companies in Greater China to make it to the CPLI list.